I wish to communicate to you that our tentative last day for students this year is Friday, June 14, 2019. 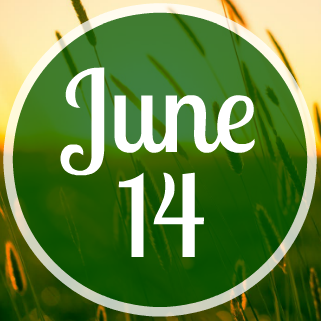 Our originally scheduled last day for students was supposed to be June 6. However, the extreme weather experienced this winter caused us to close school beyond the allowable legislative limit and we must now make-up instructional days. Michigan School Code (Michigan's compiled legislative law for education) mandates that every public school must provide a minimum of 180 days of instruction within the annual school calendar AND a minimum of 1,098 clock hours. A local district may close school up to six (6) times in a school year for circumstances beyond local control (i.e. weather-related, power outage, etc.). If a local district exceeds the six allotted days of cancellation for circumstances outside their control, then an additional three (3) days may be sought with a waiver, sent directly to the Michigan Department of Education (MDE), citing specific reasons why a district cannot fulfill the remaining days on their local calendar. Au Gres-Sims has been granted the additional three-day waiver by the MDE for this year. Au Gres-Sims cancelled school a total of 15 days this year, and the State has allowed us to waive nine (9) total days. This means that, if we do not experience anymore weather related closures, power outages, etc., from today forward, we have to make-up an additional six (6) school days in the 2018-19 calendar. You may have heard recently in the media that the Michigan State Legislature is considering a bill that would waive even more days from our school calendar from closures that were experienced when Governor Whitmer declared a State of Emergency in February. Any additional days waived will require an act of our Michigan Legislature and signature by the Governor. To date, there is no bill that has been presented to the Governor for approval. If such an action does happen, we would have the ability to possibly shorten our school year further. To summarize, Michigan State Law requires that a local school district must have a minimum of 180 days in their school calendar. To date, Au Gres-Sims cancelled school 15 times in the 2018-19 school year. The Michigan Department of Education has provided nine (9) waiver days for Au Gres-Sims, but we must still make-up six (6) days of lost instruction. Providing that we do not have any more school cancellations this year, our new “last day for students” is Friday, June 14, 2019.